He was born in Afragola on 25 January 1959, but he soon moved with his family to Caserta. Here he began to take his first steps in the world of theatre, founding the Teatro Studio group, an extremely active cultural organisation that was active until the first half of the eighties. In this period Servillo became close to the Falso Movimento theatre group and met Mario Martone. With the Neapolitan director, he founded the Teatri Uniti company and together they branched spectacularly into the cinematographic scene with "Death of a Neapolitan Mathmatician". In the nineties, Servillo dedicated himself mainly to the stage, becoming one of the most important actors of European theatre. 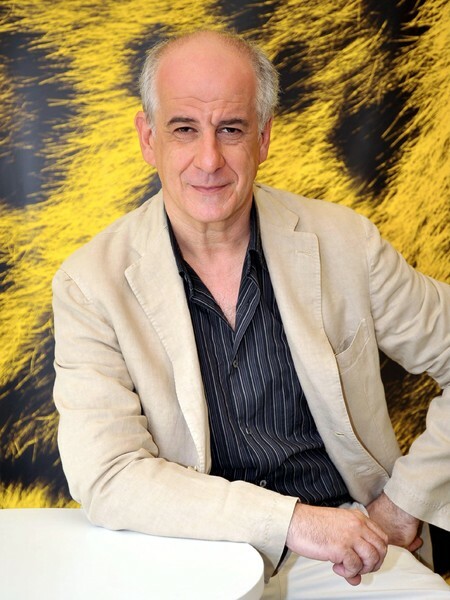 In 2001, Paolo Sorrentino cast him in a leading role alongside Andrea Renzi in "One Man Up", the start of a successful collaboration which saw them work together in no fewer than three subsequent films: "The Consequences of Love", "The Family Friend" and "Il Divo", a 2008 movie inspired by the life of Giulio Andreotti. In the same year Matteo Garrone cast him in "Gomorra": both the films were in the running at the Cannes Film Festival and won prestigious prizes. As he hears the names of the artistic treasures of his native city, Toni Servillo has words of particular appreciation for the Royal Park, which he believes to be "a comfort to the city's inhabitants, a meeting place that belongs to the local community. The park offers visitors a trip back in time thanks to the beautiful eighteenth-century architecture of its gardens, a true charm that is the envy of all of Europe, from the France of Versailles to England itself, a real master of this art." For the actor, the San Leucio complex is particularly important, "testament to an industriousness that remained alive for centuries. Its looms produced the silks that created objects of unbelievable beauty which reached all the corners of the world. This excellence was brought about by a unique experiment when King Charles of Bourbon made the Royal Colony of San Leucio into a republic of the arts with an autonomous statute." His place of choice, for artistic affinity if nothing else, is the medieval village of Casertavecchia which, as Toni Servillo explains "even when swamped by excessive commercial activity, still remains intact and incredibly beautiful. It's not by chance that it has been the set of so many films over the years, of which "The Decameron" by Pier Paolo Pasolini is an outstanding example."